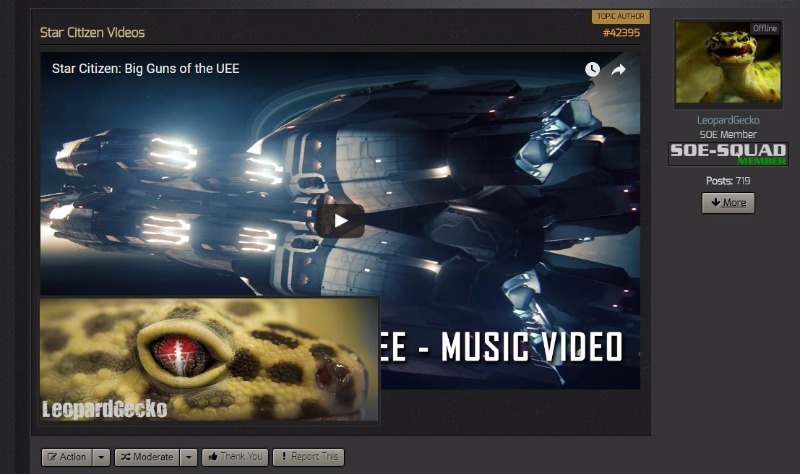 I'm really liking this theme which seems to work really nice but I've found one little bug with signature images over lapping post content which can been seen here www.soe-squad.com/ , this happened before I changed the video size also. 1 year 8 months ago	#544 by Eugene S.
A signature displays as position:absolute and does not count image there. This is how the template is designed. You can add a custom rule. Go to Kunena forum > Templates > select RND KInstance and click to Edit LESS. But it will break a conception of the design - the signature will be displayed after the message instead of fixed position. By the way, your forum looks very awesome! Can we include your forum (URL, short description) to Members showcase ? Hi, I'll have a play with it and add the custom rule. 1 year 8 months ago	#551 by Eugene S.
Your forum has been added to template showcase section.